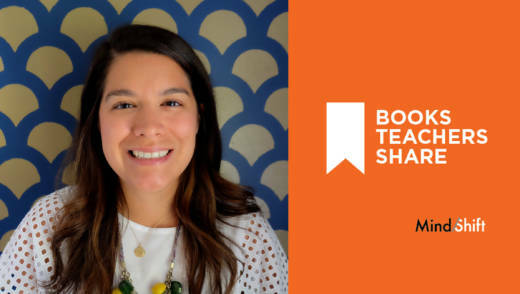 Alicia Hunker is both a sixth grade math teacher at Valor Collegiate Academy in Nashville, Tennessee and house leader for the charter middle school. 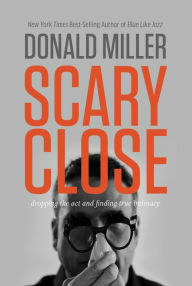 She said that a book she read recently, called Scary Close: Dropping the Act and Finding True Intimacy, by Donald Miller, has had a significant impact on her relationships with both colleagues and students, and has changed how she sees herself in the classroom. The self-help title describes Miller’s journey to present his authentic self to the people around him--not just his wife and family, but to those he works with, too. Hunker recently explained to MindShift the impact Scary Close has had on her teaching. The following interview has been edited for clarity and length. Hunker: This non-fiction book is about the risk involved in being super-vulnerable. It’s about the freedom that comes when we get "off the stage" and start loving people, and being transparent and vulnerable about your past in order to create a healthy mindset, a work/life balance and a satisfying career. Miller talks a lot about how in the workplace and in life relationships, he was always trying to impress people. Ultimately, he realized that with all the people he connected with, either through work or family and friends, he basically wanted the conversation to be so intentional that it was genuinely important. Miller does talk about God in this book, but I feel like what’s great about it, is that whether you’re an atheist or whatever, you could still read this and get a lot out of it, because it’s coming from honest experiences that he’s had, which is one of things that I’ve always admired about him. I've read all of Brené Brown's books [on vulnerability], and what makes these books similar is that the two authors share their own personal experiences. 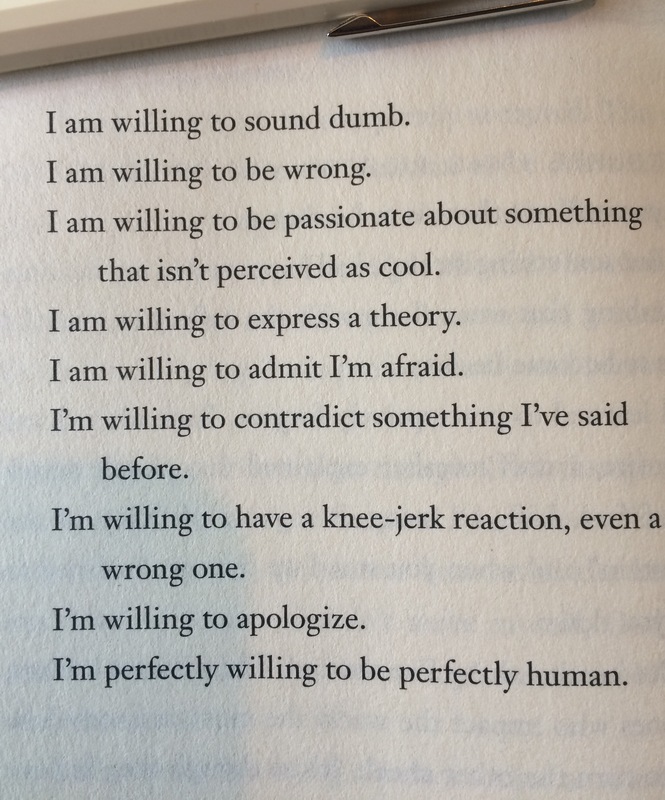 What makes Donald Miller's books more captivating to me is that he leaves out all of the fluff, making it seem more easy to connect to. His style of writing makes you feel like you're sitting across the table from him, having a conversation. When I first read it, Scary Close made me feel both empowered and encouraged. In a workplace that is driven by results, growth, and the ability to be as uncomfortably flexible as possible, I find myself making in-the-moment decisions, but constantly questioning whether or not it was the best one. It was incredible to realize that someone that I admire so much [the author, Miller] struggles with the same issues. People see me being me and they know I'm not perfect. This is when relationships are built and the real, impactful connections are created. When this happens, I'm guiding people through life, not just teaching math. I feel like there are so many connections between Scary Close and what I do as a middle school teacher, I could go on forever. My main goal is not [for students] to excel as quickly as possible, but for them to actually know math, and to be able to efficiently and effectively communicate that with anybody. When I reflect on my previous nine years of teaching, if I had been taught first that it was ok to be a human in your workplace, especially when you are working with other humans who are trying to figure out what life is, and what feelings are, and what having a relationship looks like, I feel like I would have gotten many more rich experiences if I wouldn’t have been trying to fit into the cookie cutter mold. I still think that we have a long way to go, but I’m confident that with something this good, people can feel the vulnerability when they come and visit, and that’s whether they are there for a few minutes or an hour, and that’s something we can see on parents’ or visitors’ faces. I shine more as a teacher because I’m comfortable with what I’m doing.